All around the world people with FASD live lives of courage and accomplish amazing things. There are many examples of FASD role models. Sadly, the media rarely takes the time to acknowledge the good work they and others like them are doing. Instead it wakes up when it can sensationalise a story. This comes at great cost. People with FASD can have more than 400 related conditions due to damage done to developing systems while in utero and secondary issues can kick in if their primary needs are unmet. It’s a complicated mix. 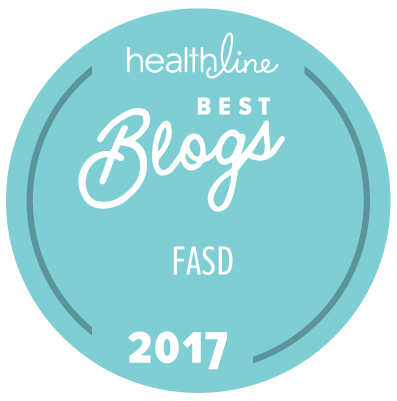 While FASD does not equal violence, we also should not ignore the fact that some with FASD need help with channelling aggressive and impulsive behaviours that can sometimes become quite consuming. She and others in Ontario are pushing Bill 191 to amend the Education Act to “promote awareness and understanding” of FASD and “best practices” to meet their needs to reinforce the tremendous responsibility schools have to provide awareness, understanding and support to meet these needs, rather than punishing, suspending or excluding troubled students. As Mark Courtepatte, co-chair of the Hamilton support group said, “For people with neurological disabilities, their actions are communication. Whatever his condition may be, the Florida shooter’s actions communicated that he was overwhelmed, his brain was not able to comprehend or deal with his environment of continuous non-support and not being understood. He ‘snapped.’” He noted that discussion about the culpability of Cruz’s school is missing from the media. Raewyn Mutch, one of the researchers from the Australian study, is quoted as saying, “The longer you leave someone unrecognised with a neurocognitive impairment, the more frequently they experience negative repercussions from not having their impairment recognised…They experience more often punitive responses to their behaviours rather than reflective responses based on the fact that you understand they have a cognitive brain impairment.” In other words, it matters greatly that we recognise and address the needs of people with FASD. The good news is research shows that using known strategies to support those with FASD can create brighter futures. This positive approach is the basis of the FASD UK Alliance which runs an online support group for more than 1,600 families. NOFAS-UK promotes FASD Wellbeing by working with those with FASD, families, policy makers and practitioners. The bad news is there are parts of the UK where it is not possible to get a diagnosis for those on the FASD spectrum, where people are denied support by the NHS and schools despite the fact they have brain damage. If the person doesn’t have the dignity of a diagnosis, that all-important insight into the ‘why-s’ of their struggles, tools and strategies are not put in place: the support, the assessments, the Education and Health Care Plans they deserve, the benefits that are increasingly denied to those who need them most. How to prevent this from happening is the task for us all. It takes political will, prioritising a vulnerable and too-often overlooked segment of our society, and compassion not sensationalism. We must not stigmatise the very same people we are trying to help. We have to hear their voices too. We have to seek change together. This is personal. I am American, though I have lived in the UK for nearly 12 years. I am mum to a teen with FASD. The reason why I would not move back to the USA has nothing to do with the fact that there are people there with FASD, just as I would not leave England because there are people here who have FASD. I would not move our family back to the USA because of the guns, the increasingly militarised and polarised society, the failing health system, the lack of safety nets for the vulnerable, the fact the sitting US president openly mocked disabled people. I most certainly do not fear people with FASD, nor should you. Fear – if you must – prejudice, stigma, and inaction. Those are the killers. Fear another generation bearing the weight of this hidden epidemic because our political leaders didn’t think we cared enough to make it a priority. Excellent opinion piece and response. Well said. Why oh why does the media highlight the bad in every situation and ingnore the good. That is such an important question. Thanks for reaching out. Many of us are working hard to get our FASD children acknowledged for their abilities. While fighting for supports and awareness while taking the shame/blame out of FASD. It saddens me that the loss of lives were caused by someone who was emotionally hurting.